Given that oft-cited Second Amendment licence to bear arms, perhaps the world has had something to fear from gun-toting Americans for the whole of their short history. When the US Army reached Bavaria at the end of World War II, one unit, charged with finding properties to requisition to house the military, came across a certain villa in Garmisch. At the door, the 81-year-old occupant managed to blurt out, “Please do not shoot. I am Dr. Richard Strauss, the composer of Der Rosenkavalier.” Thereafter, recognising him as a man of importance, the property was declared “off-limits” to troops, and Strauss was feted as a celebrity, even though his family harboured the notion that the military had mistaken their Strauss for the one who had written The Blue Danube waltz, presumably many years before. For Lotte Lehmann, Strauss’ favourite singer and an interpreter of rôles in no fewer than five of his operas, when it came to committing to paper her recollections of life on the stage, Der Rosenkavalier, though it had been her first, was the one she saved to recount last. This she likened to a habit adopted in her childhood. When her mother made her sandwiches, young Lotte would pile the filling on one side of the bread and, nibbling from the other end, gradually work her way towards the longed-for treat. 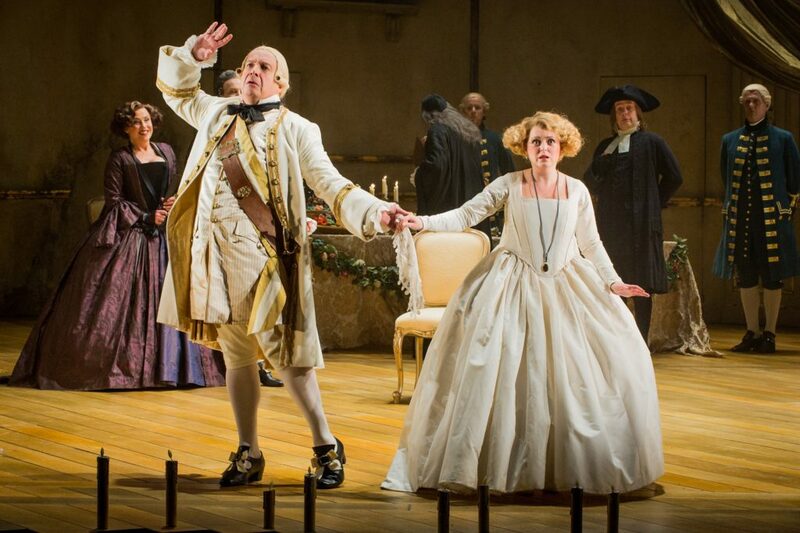 Clearly, for composer and singer alike, Der Rosenkavalier was of enormous rewarding significance. To audiences too, Strauss wrote nothing as popular as this. famous Marschallin, the Field Marshal’s Wife, the mature, experienced and controlling 32-year-old character she sang for the first time in 1924. 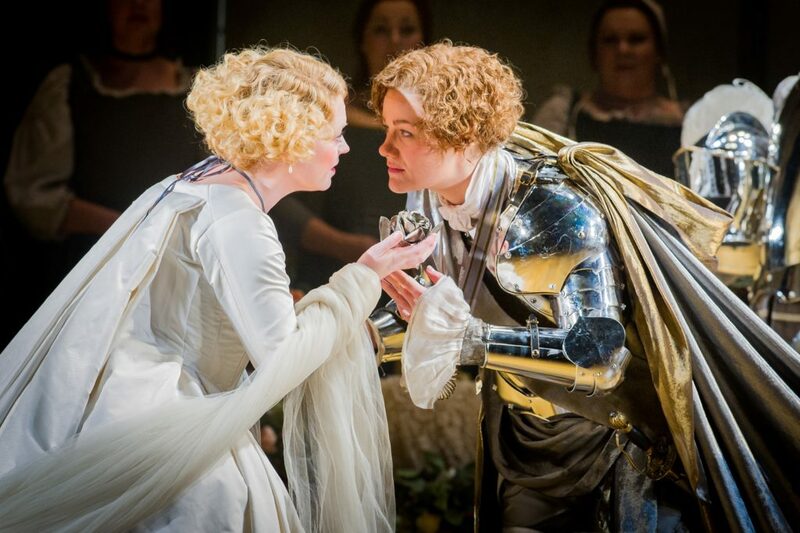 Strauss was enraptured by sopranos – indeed, he married one – and Der Rosenkavalier (“The Knight of the Rose”) gave him the opportunity to exploit their divine voices in combination as never before. The only other prominent character, Baron Ochs, falls to a bass. Ochs is an aged, skirt-crazed, thick-headed ox, who clumsily wanders in and out of trouble throughout. Three-parts beauty to one-part comedy proves to be a successful formula. This last scene contains the most celebrated music – firstly a trio of soprano voices, and then a love duet. In particular, the trio is justly lauded, having all three characters celebrating or lamenting their differing fortunes, each embarking on a new phase in their lives, and is so beautifully captured by Strauss that it prompted Dame Judi Dench to describe it as one of the most perfect staged moments ever conceived. The duet, despite the enormous orchestra involved, has something of the weightless melodic flow of Mozart about it. Elsewhere, after a riotously exhilarating, post-coital orchestral introduction, the Marschallin serves up an opening aria of wondrously peaceful intimacy. The end of Act I, her monologue, a dawning of an unpalatable truth, has been described as “one of the most affecting scenes in Opera” as she contemplates her aging lines in the mirror. 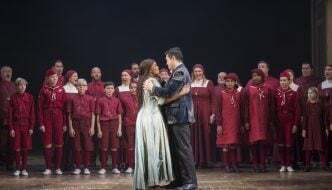 In Act II, the scene in which Octavian presents the rose to Sophie is one of sublime affection, astonishingly beautiful writing for the singers with a ravishing orchestral accompaniment. Indeed, the orchestra is a protagonist in the drama every bit as much as the voices. The silvery high-notes of three flutes, violins, harps and a celesta that combine as the Rose’s leitmotiv, the purposeful treatment of the waltzes – a dance not actually known in the Vienna of 1740 – some as refined and rarefied as the social stratum depicted, some a deliberate parody, musically imitative of Ochs’ lumbering scheming and the delightfully chaotic ensemble scene that ends Act II show Strauss as an orchestral writer of rare distinction. In the Act I scene in which the Marschallin receives visitors, he composed one of his most ambitious, complex ensemble scenes: the characters include Ochs, a notary, a chef, a boy carrying the menu of the day, a milliner, a scholar, an animal-dealer with dogs and a small monkey for sale, the lady’s hairdresser, a distressed widow with her three children, two Italian intriguers and an Italian tenor singing a delightful 18th-century vocal pastiche accompanied by a flautist. It is the orchestra which depicts the many inner tensions of the comic interaction of these diverse parts. 41-year-old Serb, Aleksandar Markovic, chief conductor in Brno, conducts his first production as Opera North’s new Music Director. 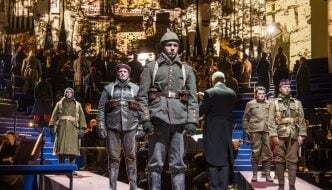 This Der Rosenkavalier is a revival of David McVicar’s acclaimed glittering 1999 staging for the company, this time with the experienced Elaine Tyler-Hall in charge. Ex-Swedish Royal Opera lead, Ylva Kihlberg, a riveting Jenůfa last year, takes the role of the Marschallin, Australian mezzo Helen Sherman, who has sung Mozart with the company in recent years, is Octavian, Welsh soprano Fflur Wyn is Sophie and Henry Waddington is already most enthusiastic about his Baron Ochs on twitter. Sung in German with English subtitles. Grand Theatre, Leeds. Sat 17, Sat 24 (4 pm), Fri 30 Sep, Sat 22, Fri 28 Oct, 6.30pm. The production will be touring. For more information see here. The last scene contains the most celebrated music - firstly a trio of soprano voices, and then a love duet. 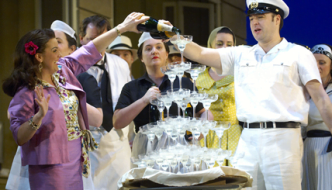 In particular, the trio is justly lauded, having all three characters celebrating or lamenting their differing fortunes, each embarking on a new phase in their lives, and is so beautifully captured by Strauss that it prompted Dame Judi Dench to describe it as one of the most perfect staged moments ever conceived.